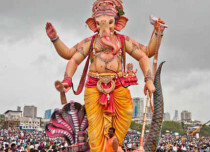 The festival of Ganesh Chaturthi is celebrated across India but majorly in Maharashtra. 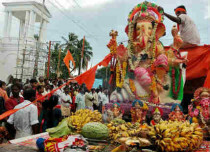 It is the home coming of Lord Ganesha and Lord Ganesha is worshiped for a period of 10 days and then submerged in water. 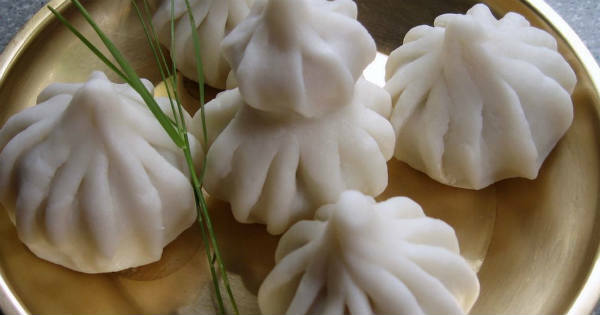 During this festive time, Modak, which is a sweet dumpling and also considered to be Ganesha's favourite sweet, is prepared. The outer shell is prepared with rice flour, wheat flour or maida and the inner filling is mainly of coconut, jaggery, and dry fruits but a lot of different variants are prepared now. 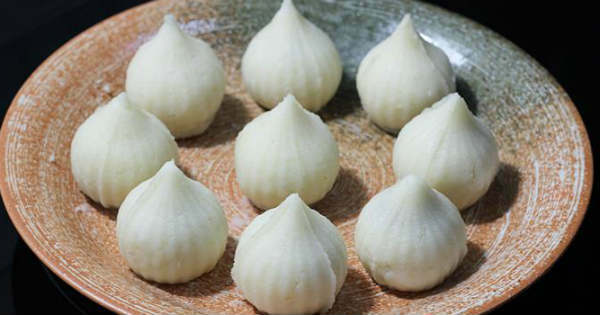 The most well-known type of modaks, Ukadiche Modak or steamed modaks are the most authentic type of this sweet; the ones which offered to Lord Ganesha. 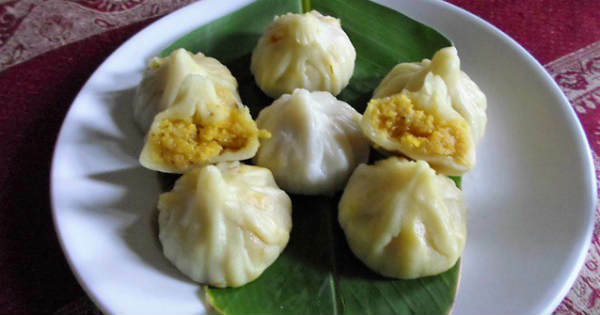 Produced using rice flour and loaded down with ground coconut and jaggery and steamed, these dumplings are offered to the god as prasad. Chana dal modaks are desserts produced using rice flour, maida or wheat flour loaded with cooked chana dal and jaggery blended in it. These desserts will definitely make you swoon over this little ponder. Rava means sooji or semolina and makes for an astounding external shell with a filling of your choice. Fillings may incorporate naturally ground coconut and jaggery or chana dal and jaggery. 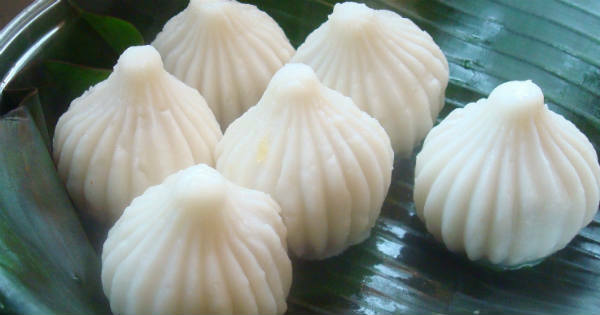 Try not to miss on the firm rava modaks as you may not be able to stop at just one. Who doesn't love chocolates? Chocolate modaks are very well known around this time. 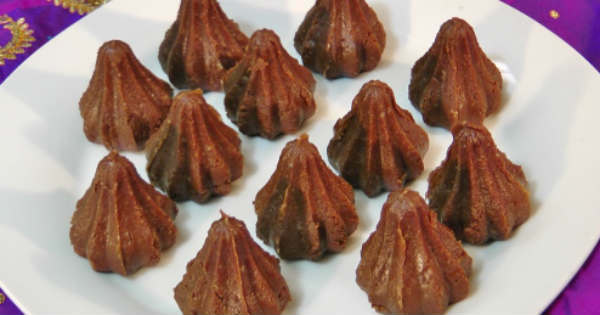 You can either make the external shell of chocolate or make a modak utilizing chocolate as a filling. This lip smacking sweet is very famous among youngsters. These come stacked with a terrific filling of dry organic products like raisins, almonds, cashew nuts, chironji, pistachios, dates and khus. Have a go at making a base with coconut and mawa (khoya), and you will love this one. 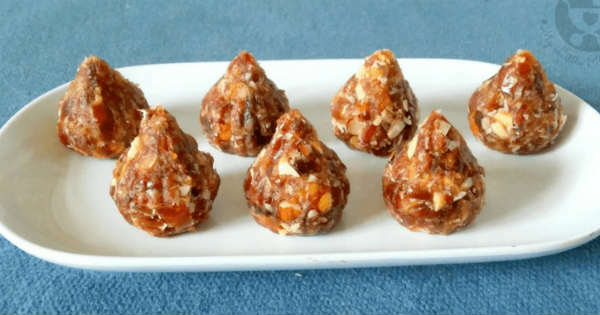 Rich and delicious, Mawa Modaks are a dissolve in-the-mouth treat. 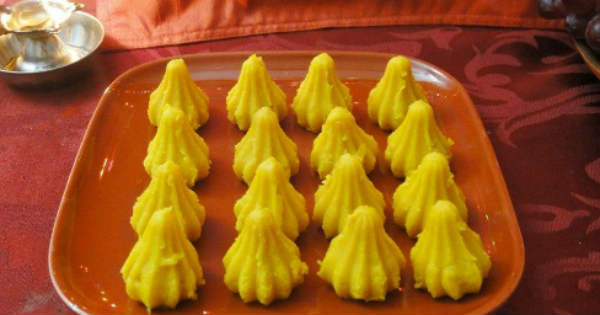 All you require is khoya or mawa along with sugar, pistachios, cardamom, saffron and drain to prepare these delectable desserts ideal for prasad or bhog. You can likewise utilize mawa and different items as a filling in a rice flour covering. 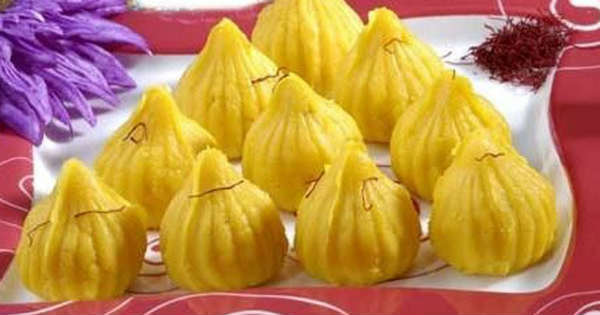 Kesari Modak is one of the most famous Modaks. 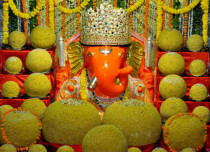 It is prepared by infusing Kesar in milk and then cooking the milk till it thickens and then preparing the Modak laddos. We bet you will finish a plateful of these! 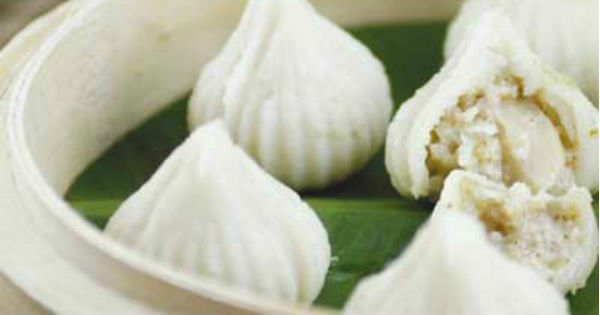 Adding curd or paneer in a modak is an exceptional practice along with certainly being a top notch one. All you require is paneer, powdered sugar and dries fruits including cashewnuts, almonds, pistachios. 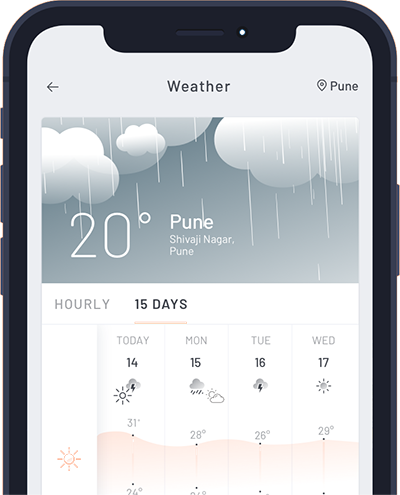 The covering is made of maida. If you have not savoured these yet, it is time you gobble this little bit of paradise by buying it from the store or simply making it at home. Trying different things with different fillings and flavors can bring about a portion of the best modaks you can request. Peanuts and coconut stuffed rice flour modaks are anything but difficult to make and happen to be absolutely delightful. 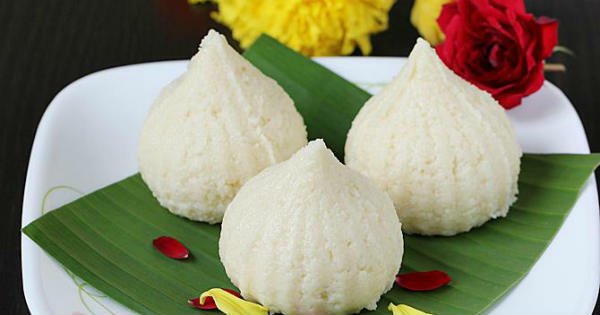 A tasty rich malai dessert that will make you craving for more, malai modaks are made by adding consolidated milk, disintegrated paneer or chenna and cardamom among others. These are for the most part made as Malai Laddoos, yet the delightful taste of these desserts has changed over them into modaks as well.